inFluxdance is a contemporary dance theatre collective comprised of artists interested in exploring and creating accessible works without boundaries. Our goal is to blur the edges of our respected defined mediums. Our intention is to provoke viewers to think, feel, and respond to the depths of our work. The five main principles guiding our artistic process include: Interdisciplinary Vision, Collaboration, Accessibility, Social Engagement. We are interested in combining all of these elements to inspire social change in our communities. inFluxdance, originally founded in 2006, has been featured in various venues in Boston, Los Angeles, Montreal, Toronto, San Francisco and other cities across the US, Canada, and Mexico. We have been selected for residencies and performance projects including the Green Street Performance Works Project, Sugar Space Artist in Residence and the Jacob’s Pillow Dance Festival. 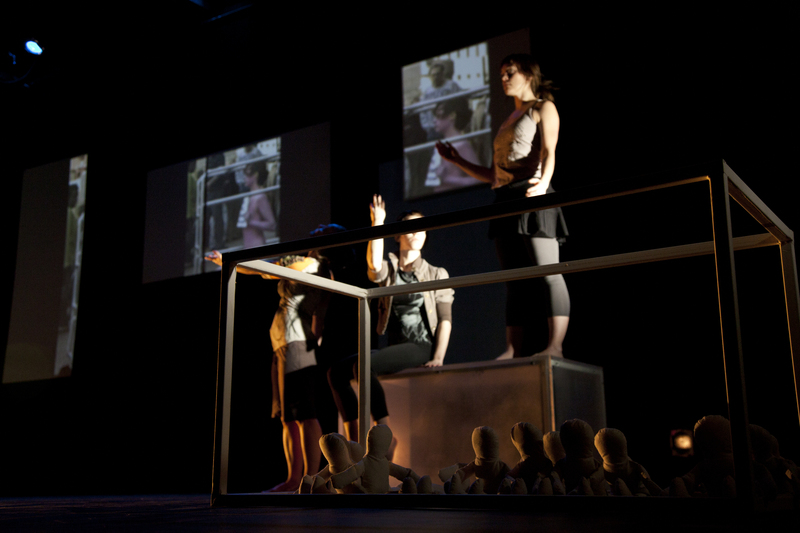 The company was nominated for the Most Innovative Choreography Award at the Montreal Fringe Festival 2011 and was voted Best in Festival at the San Francisco Fringe Festival in 2007 and 2008. From 2010-2012 inFluxdance and Brolly Arts teamed up to work towards creating change in the SLC community. The two organizations have received various county grants to fund the endeavors. inFluxdance work has been presented in various festivals and galleries in addition to presenting full length work by its’ collaborators. Currently relocated in Providence, RI, inFluxdance is extremely active in the NE England Area. SirensProof Films is a production company founded by Erin E. Mayfield and Rose Pasquarello Beauchamp. A power duo, the two co-create many works together in which they experiment with Screendance, Interdisciplinary Installation Work and Integrated Media. The Movement Exchange is a space and gathering place for dance, movement and the arts in the Pawtucket/Providence area. It is a place to take class and rehearse, a place to gather for performances and a place for the community.